A snowspeeder (also known as airspeeder) is a Rebel Alliance vehicle featured in Star Wars Episode V: The Empire Strikes Back and several books, comics, and video games in the Star Wars Expanded Universe. 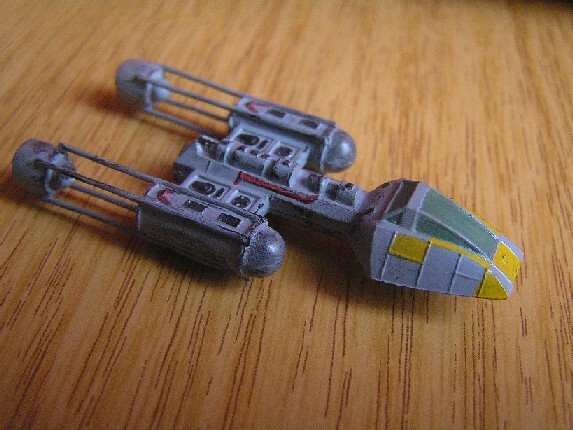 The ship combined the body of an X-wing and the cockpit of the Y-wing, but the complete design became a totally new, unique air vehicle. According to the background story, the T-47 airspeeder was originally produced by the Incom corporation for transportation, but the airspeeder became famous during the Galactic Civil War for its military use by the Rebel Alliance to restore the Republic. The T-47 was an atmospheric vehicle designed for industrial cargo handling. Its cockpit featured positions for a forward-facing pilot and a rear-facing cargo manager. The cargo manager used the airspeeder's magnetic harpoon and tow cable to control repulsorlift cargo modules. 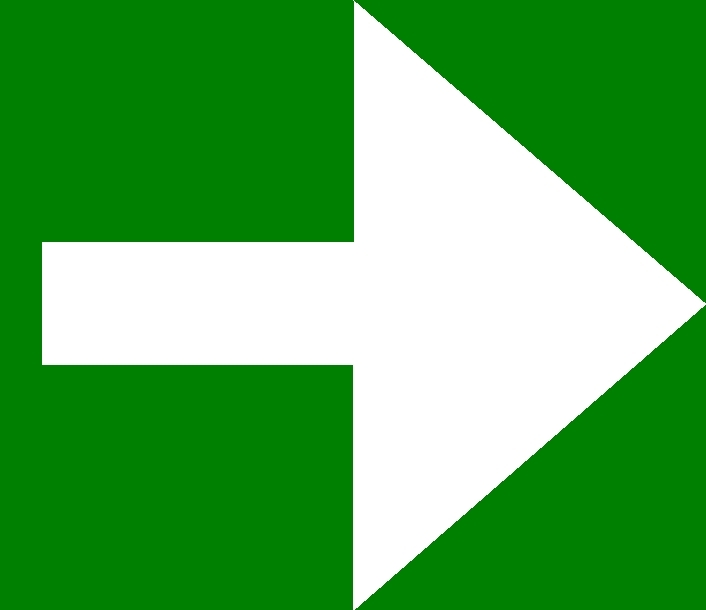 But during the war, the vehicle was modified to be usable for military purposes. In the early stages, it functioned as an air reconnaissance unit but later it became a fighter, after the rebel engineers made it able to fly into air battles. 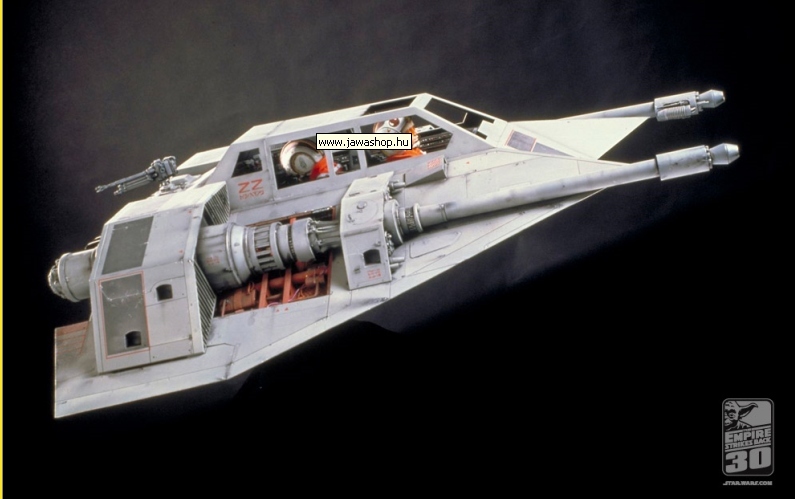 The Rebel Alliance used the T-47 airspeeder for reconnaissance on Dantooine. 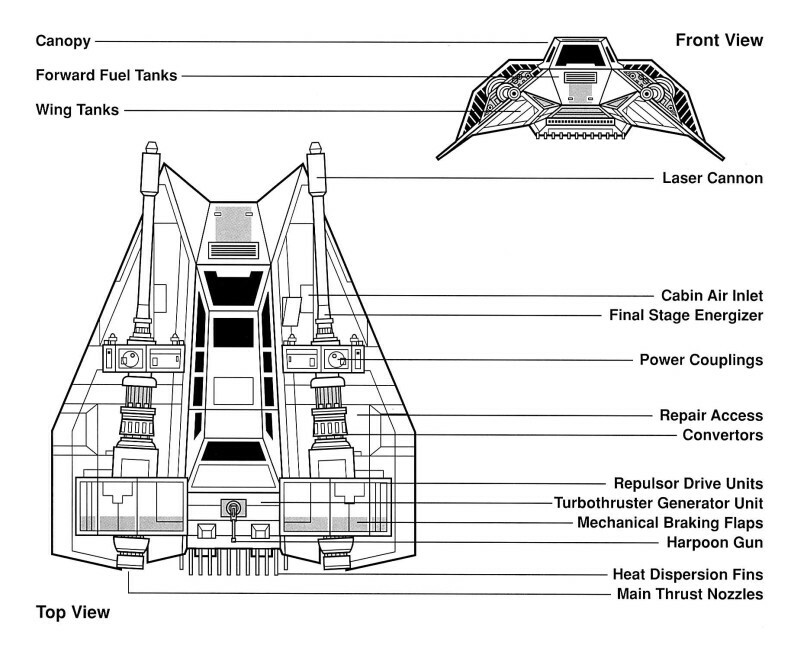 When the Rebels moved to Hoth, the airspeeder required modifications to function for extended periods in the extremely cold climate, and was upgraded to a fighter. The T-47 was modified by the Rebel Alliance technicians into a patrol and combat craft, becoming commonly known as the snowspeeder. Heaters were added near the drive units, and de-icing nozzles were added to prevent icing on control surfaces. 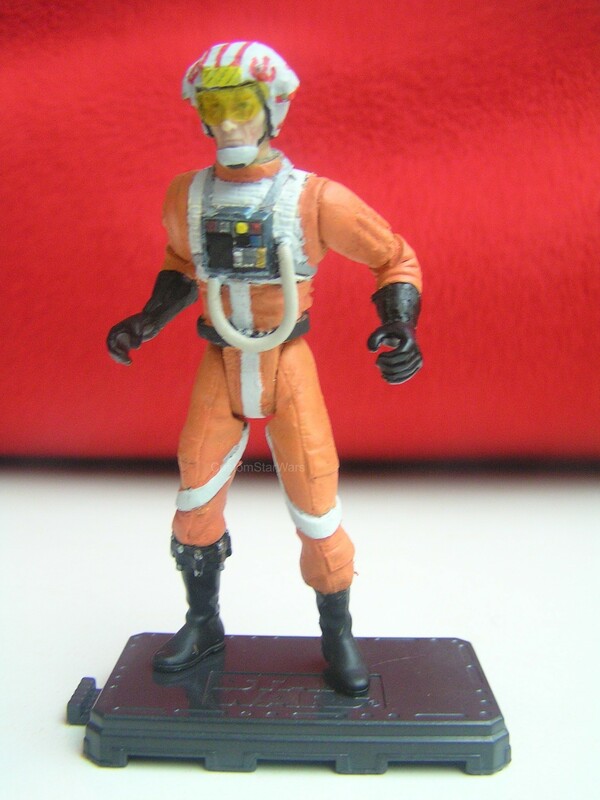 Rebel technicians also built in Y-wing parts, including armor plates, control surfaces, and refitted cockpit modules for the snowspeeder. 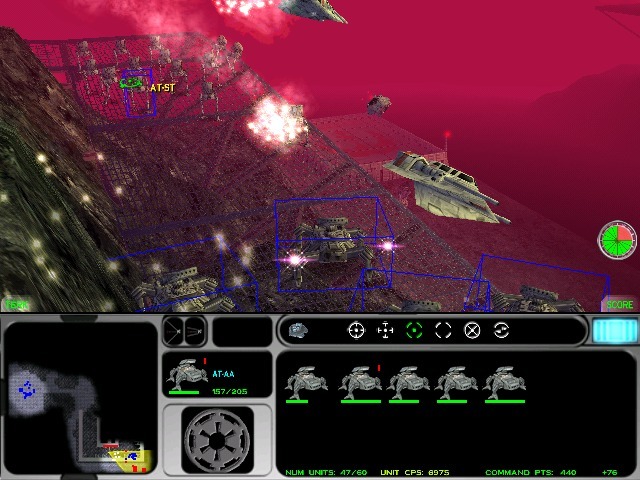 The Rebels armed the craft with dual laser cannons and converted the cargo manager into a gunner. Computerized targeting systems and displays were used by the gunner to control the lasers and harpoon gun. However, the pilot could take control of weapons if needed, and could order an immediate tow cable launch, if a chance for a successful attack was on his sight. Since the speeder lacked shields, armor plating was added to the hull. An advanced power plant and repulsorlift engines were installed to compensate for the added weight of armor and weapons, however with this stronger engine, the airplane was still able to fly a certain height above the ground, which was not to large. Yet, its small size, maneuverability (all models included motor-controlled flaps to imply maneuverability) and speed allowed the ship to dodge enemy blasts, making it a good fighter. The first version had a combat speed of 600-650 km/h, but the upgraded snowspeeder version was able to fly a top speed of 1,000 km/h. 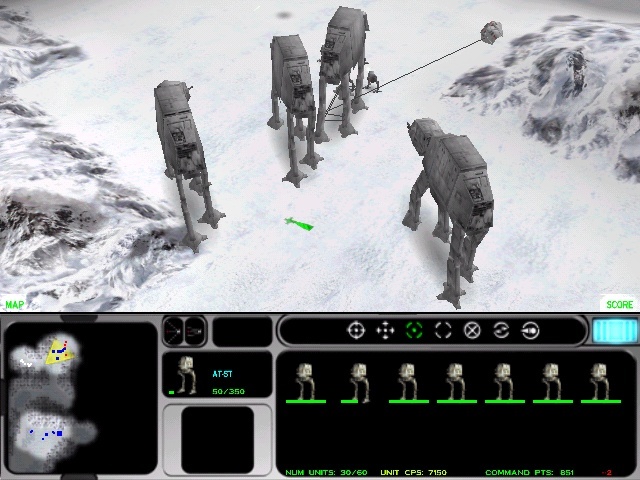 In The Empire Strikes Back, Rogue Group, led by Commander Luke Skywalker, pilots snowspeeders against Imperial AT-AT walkers during the Battle of Hoth. When their lasers prove ineffective the Rebel pilots turn to tripping the walkers with the snowspeeders' harpoons and tow cables. 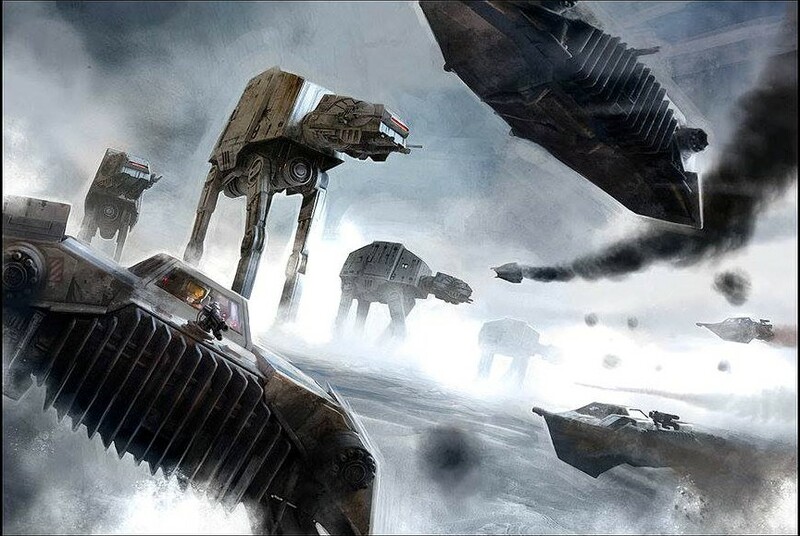 During the battle, the snowspeeders had to delay the advancing Imperial forces, providing extra time to evacuate Rebels from Echo Base. 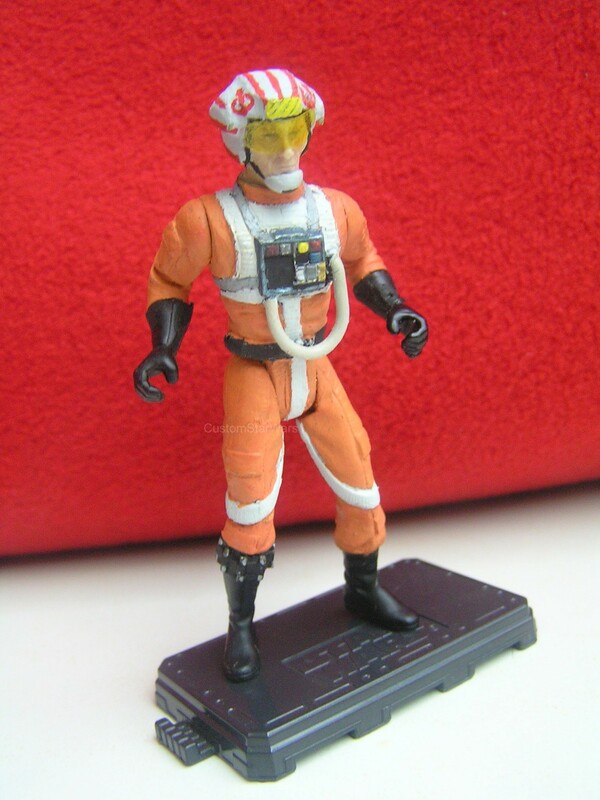 After finding the snowspeeders' blasters to be ineffective against the armored AT-AT walkers, Luke had an idea, an ordered the Rebel pilots to use the tow cables to tie up the legs of AT-ATs, causing at least one to crash to the ground. 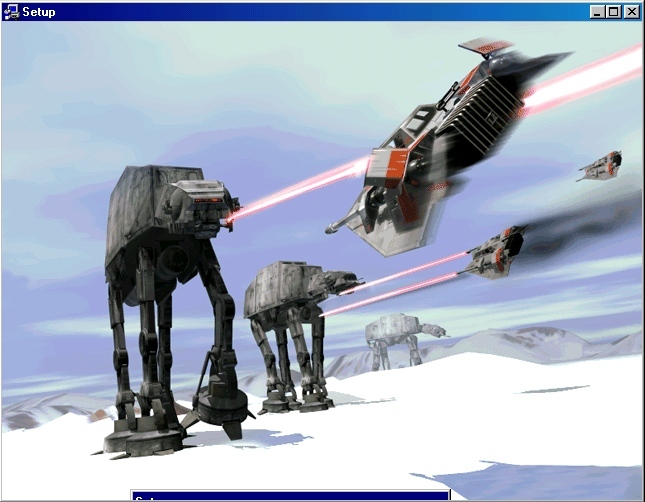 The other walkers remained intact, only becoming a bit angrier as the flying around snowspeeders covered their sight for a second as they raced away before them. Regardless of this partial success, many, if not most, of the snowspeeders that participated in the battle were either damaged or destroyed, but they succeeded in their task, to gain some extra time for their fellow rebels, to evacuate the Echo Base. According to the book Tales of the bounty hunters, one of the best snowspeeder pilots was Samoc Farr, who was also shot down by a walker, and injured seriously. Toryn Farr, his sister saved him, leaving the base in the last transport, jus to be ambushed by Zuckuss and 4-LOM, but that is an other story. In the world of games we will meet these vehicles, too, trying how to fly them. 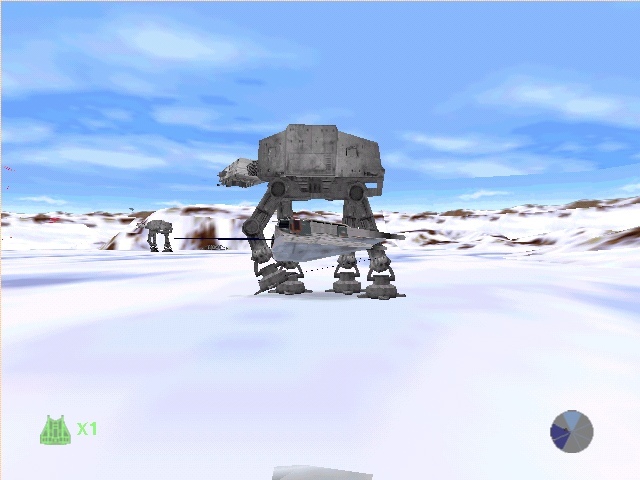 For example a playable snowspeeder was available in the Star Wars: Battlefront games, when playing the rebels in the Battle of Hoth. The airspeeder is armed with concussion missiles and small tow-cable launcher. A pretty fast and maneuverable fighter, with a primary goal to tie around the walkers, but if we use it for fight, we can achieve a very good result with it, after killing 85 imperial troopers in a round. Funny, but a wookie gunner cannot fit in the cockpit, his head will be seen a bit above the top of the vehicle, during the flight. In addition to cold environments, T-47s were also modified by Alliance forces for use in several different climates. 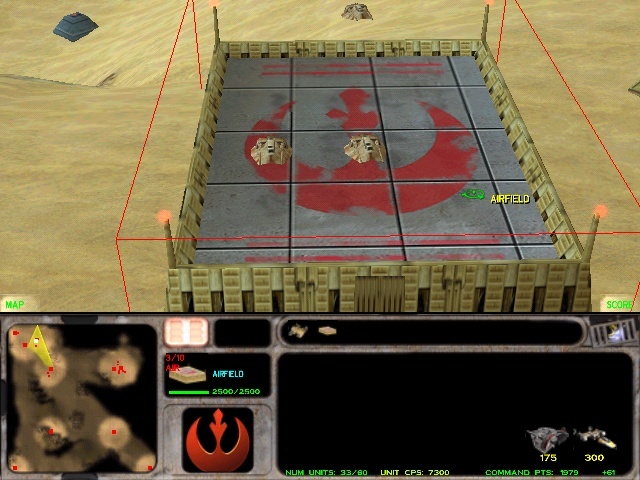 According to the game Force Commander, the T47 model was used on desert planets, too, such as Tatooine. In these cases, the airspeeder was called as sandspeeder. The sandspeeder was equipped with advanced filters to keep out sand, engine cooling units, and long-range radar for navigating sandstorms. 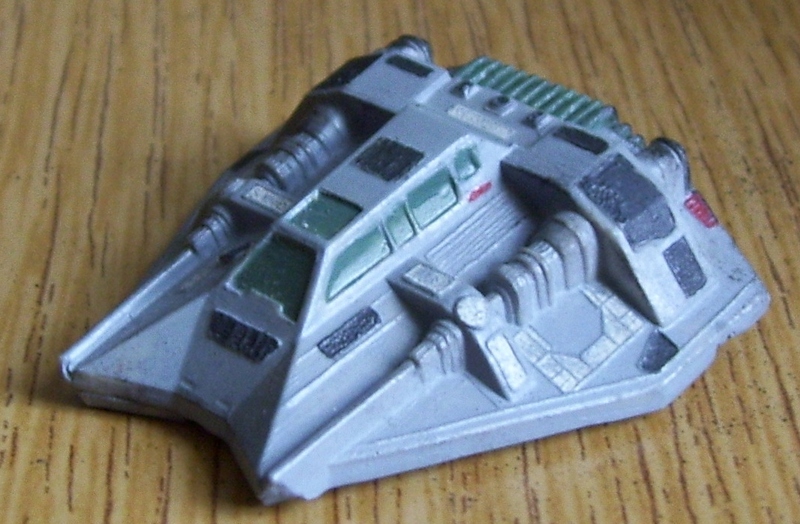 Also, there was an other version, which was called as skyspeeder, which had a pressurized cockpit and more powerful repulsorlifts for higher altitudes, and was used in patrolling the Rebel's base on highlands, and around mountain bases. The T47 was not a strong vehicle. 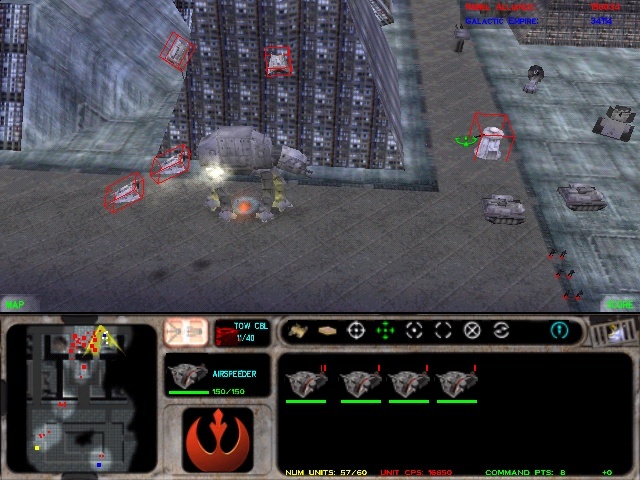 It was rather convenient for the rebel's partisan warfare, they attacked quickly, then raced away, after leaving some imperial units damaged or destroyed. Ideal targets for them: an unprotected barge, a heavy lifter, or a ground installation without anti air defense. (Houses, command center, ground turrets, engineering bays, etc.) They were good at attacking either two-legged walkers, who cannot defend themselves from above, or artillery platforms, mobile and heavy, no matter. The four-legged walkers were more tough enemies, because they could tear these small fighters apart easily with their powerful chin guns with a single shot. But a clever pilot, attacking above the ground, could towcable its leg. Making 3 tight circles around the walker could be enough to tie it around so badly that the servos of the walkers could not move the legs so small steps, that a child would do coming out from the toilet with his pants down, inching towards the bathroom. Both of them, including the child and the walker could easily fall to the ground, hitting their nose into it. 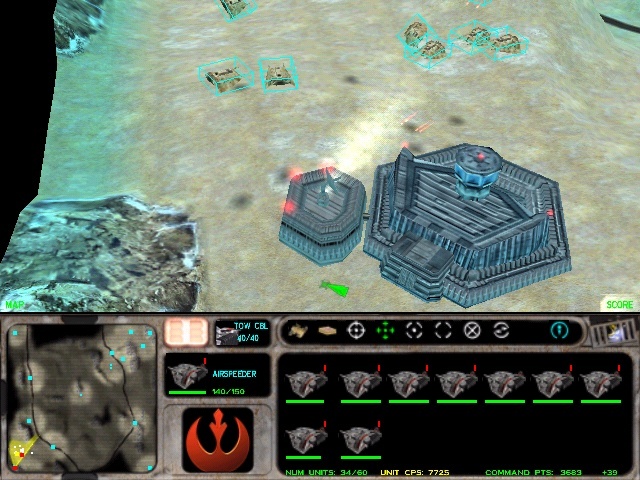 If a mission gone bad, the airspeeders ran away immediately, rushing back to their airfield, where the rebel technicians could repair them at once. A single airfield could host about 10 airspeeders. 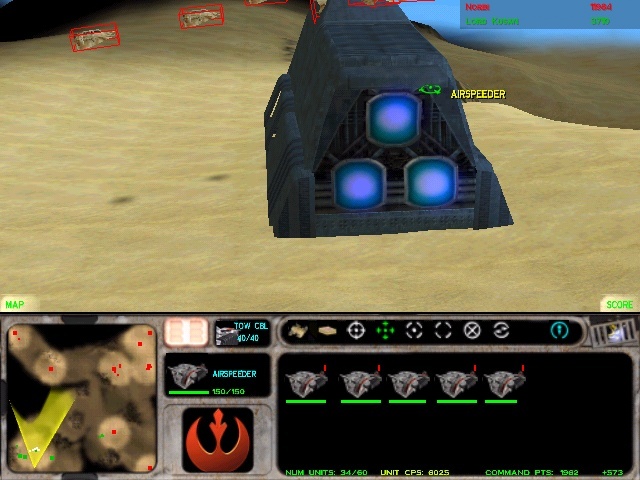 The airspeeder became famous about their tie around missions, so no wonder, that all games have some mission, where we have to tie around some walkers to make them crash to the ground. 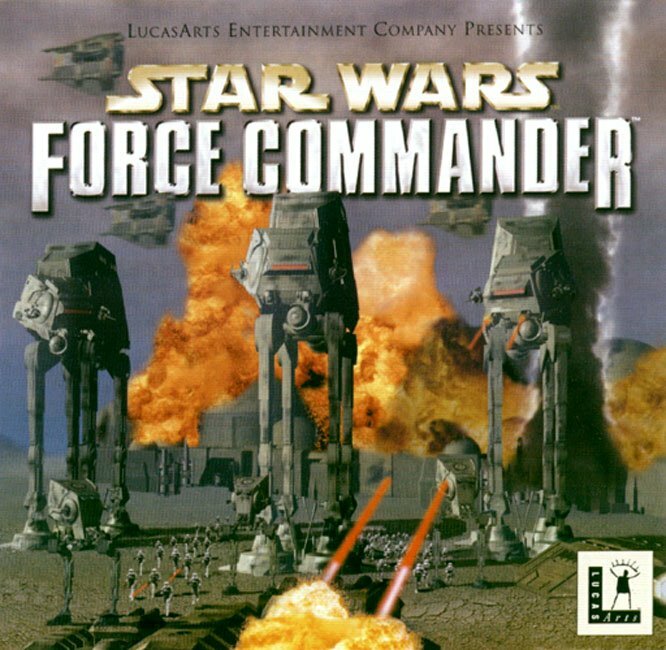 In Force Commander, the secondary weapon of the airspeeder is a tow cable, this your weapon against the walkers. 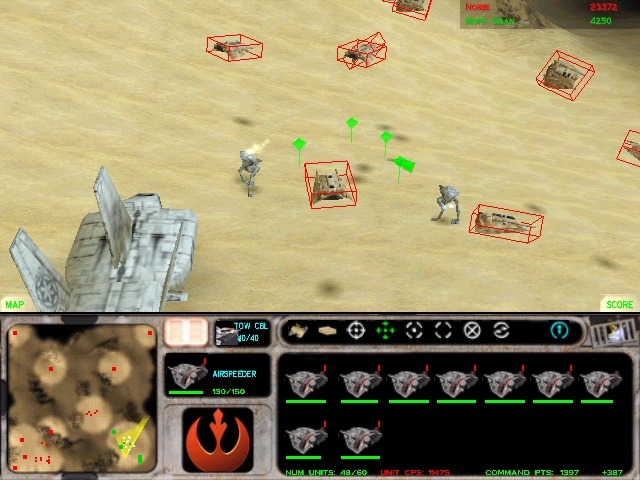 But the task is the same in some Rogue Squadron levels, where you have to finish up some walkers, too, again with your harpoons. 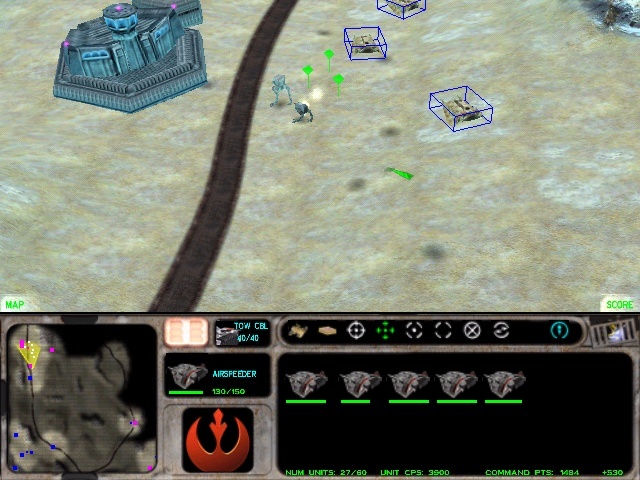 One of my favourites, despite its poor graphics is the Shadows of the Empire game, where you will be able to control Dash Rendar himself, who was near the planet Hoth, when he received the SOS signals from the rebels, and raced to aid them, to help his friend, Luke Skywalker. 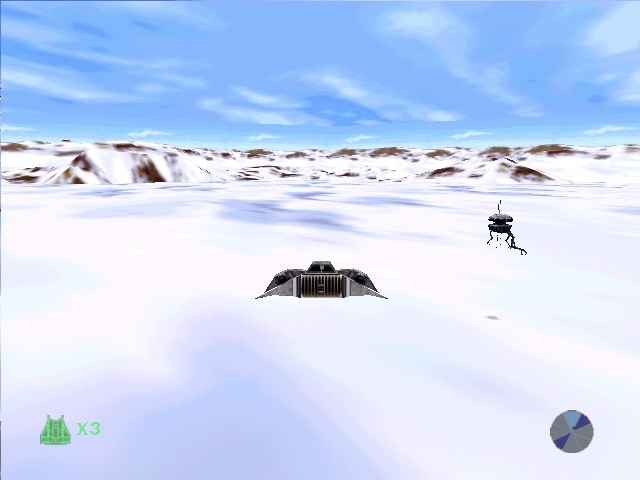 Rendar piloted a snowspeeder, this could be played in the first three missions, where Dash has to amortize some probe droids, a few AT-STs, and even could not avoid the confrontation against the walkers, fighting them as he was able to do, then leaving the scene in his spaceship, called Outrider. 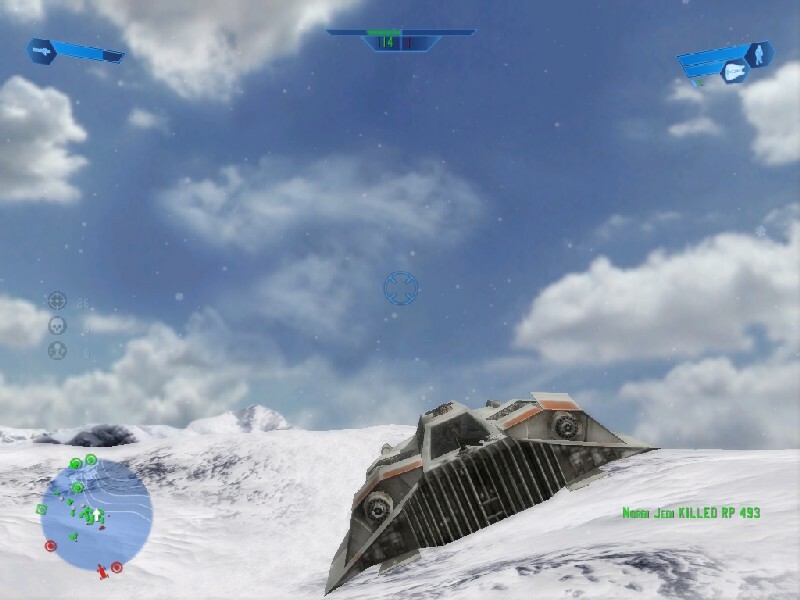 Listen to some interesting comments and reporting ins from the snowspeeder pilot of the game, Force Commander! 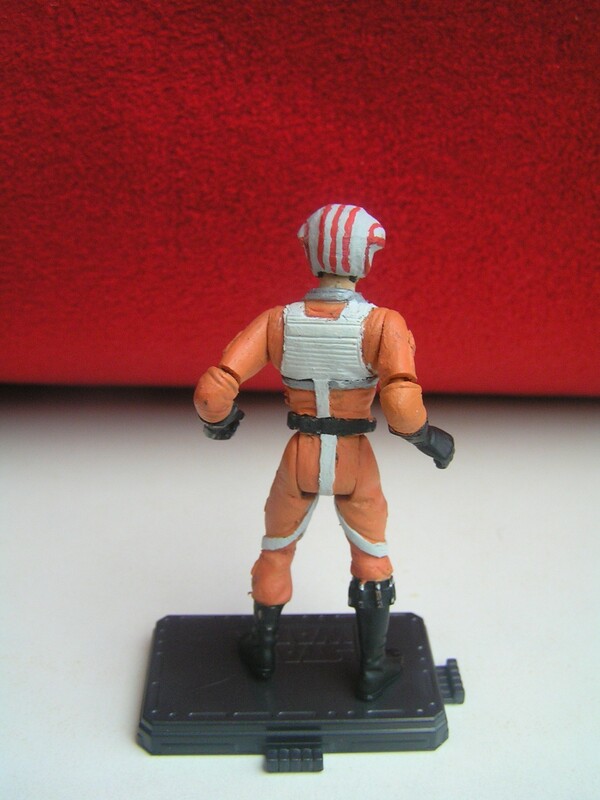 Please take a look at my custom T47 airspeeder pilot figure. Thanks for your attention, come back to CustomStarWars soon.